Football teams aside, I wanted to share some easy fall trends with you all. I think the reason I love fall fashion so much is because it is all about being effortless. You look chic with minimal effort, and to top it off I thought I’d give you fall trends for under $200! With fall being all about effortless beauty and style, I thought your budget shouldn’t require much work either. Sixties wear is all about short shift dresses, black and white, the cat eye and volume. 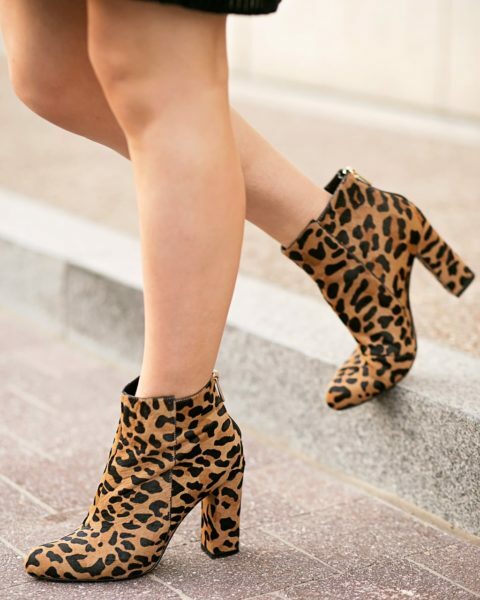 The classics include what you typically think of in reference to cooler temps: plaid, leopard, leather leggings and booties. Make sure to keep your makeup Twiggy approved. Fall is all about thick lashes and neutral lips. With Saturday wear think skinny jeans and a structured jacket. You can get away with Saturday casual any day of the week in fall. Gray is the neutral for fall. Invest in a gray handbag so that you’ll always have it to center your outfit. What are you getting for fall?! I seriously can’t wait for fall! Thanks for sharing some trends!